If your child is on the computer all day he is well on the way to becoming an internet junkie and probably quite familiar with how to get into sites he shouldn’t be entering. With the advent of Facebook and all the opportunities it creates for children to be preyed upon by stalkers and pedophiles, it is imperative that we speak to our kids to protect them from predators as well as from themselves. Because of Facebook’s popularity, underage kids have jumped onto the social media bandwagon too, sharing pictures, connecting with friends, organizing events. The people most at risk of falling victim to the dangers of social network sites are kids. How do you protect your child from the hazards of the internet when they are internet savvy and know more about computer technology than you do? Here are some tips on how to go about guarding your kid’s identity and personal information from predators. Educate yourself by reading up on the dangers of the internet before you talk to your kid. You want to sound knowledgeable on the matter and make a credible argument about the number of hours he spends on the internet. Go up to him while he is busy on the computer and ask him to show you his profile page. Stand there until he shows you. If you move away, he can remove everything. See what he has written about himself and what kind of vibe he is putting out there. He is thirteen years old. Is his profile provocative? Also check what he has put down for his age. You don’t want to teach your child to lie, but to prevent identity theft, it is almost better to lie. 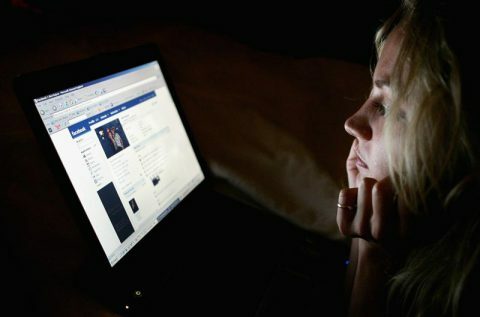 As for teens who lie about their age in order to join Facebook, if for instance a 19-year-old is mostly friends with 13 and 14-year-olds, and seem to be exchanging lots of photos together, this might set up the red flag that the user is actually twelve or thirteen and may signal the user’s page for removal or give the user a warning. The passwords we have to provide to enter sites is another way for identity crooks to steal information. There are some standard questions you have to answer if you have forgotten your password, and the same questions are asked on many sites. Some of these questions may be to state your mother’s maiden name or the name of your high school. Don’t answer these questions. Create a question of your own. Uploading photographs on Facebook also present other problems. Many predators target their victims based on photographs. Tell your child to limit the number of photographs he is sending, or make sure he sets passwords or other security features to access the pictures. Block viewing of personal conversations. Too much personal information given accidentally can lead to identity theft. Some people join religious networks to prey on people they believe are weak and easy to mislead. Tell your child not to believe everything he is told and to verify all the information he is given and that he use privacy settings to control who sees his information. It is also important for him to be selective as to who he includes in his friends and which networks he joins. There is no way to verify people’s age, and no way to check if someone is truly who they say they are. Talk to your child about what he should and should not put in his profile. Profiles contain personal details and recent activity. Tell your child to put some false information on his profile to thwart the actions of thieves who are trying to steal his identity. Tell your child not to meet anyone he has met on the internet without verifying all personal information, where the person stays, and without first telling her and a friend about it. Take someone with you. Only agree to meet during the daytime and in a busy place. The best way to get your kids to listen is still the old-fashioned way; talking and talking and being constantly vigilant. Tell your kids that you want their password and that you will check periodically to see what he is doing on the internet. If he refuses, take out the computer plug. He’ll think about his actions on the way to the library. The thing is not to panic. Most kids really do use social networks just to communicate with their friends.